Children’s Hospital of Philadelphia designates this live activity for a maximum of 14.25 AMA PRA Category 1 Credits™. Physicians should claim only the credit commensurate with the extent of their participation in the activity. 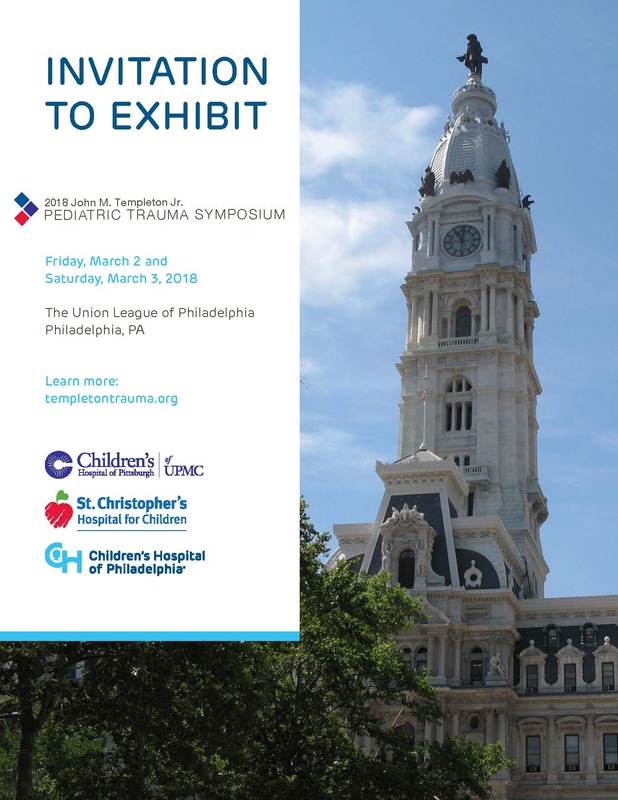 Attend a STN TOPIC course designed to meet the unique needs of pediatric providers! The Society of Trauma Nurses Trauma Outcomes and Performance Improvement Course (TOPIC) is taught to all members of the trauma system team who participate in the assessment, evaluation and improvement of trauma care. This course is taught in a one-day interactive modular format, customized to best meet the needs of the individual trauma care provider participants who have varying levels of experience with trauma performance improvement. The course offers practical application for all levels of trauma centers, from entry level to the mature phase of program development. The modules are taught with a focus on didactic, operational definitions, sample tools, case study examples and take-home points. The cost is $400. For more information and to register, go to traumanurses.org. A block of rooms with reduced rates has been reserved at the Omni William Penn Hotel. The group rate is $185 plus a 14 percent room tax. The special room rate will be available until Monday, Jan. 28, 2019. You can make your own reservations by calling the hotel at 1-800-THEOMNI (843-6664) and identifying yourself as part of the 2019 Templeton Trauma Symposium. What’s New in the Evaluation and Management of Abdominal Trauma? Starve the Ego … Feed the Baby!